Brett Luke | The Journal Gazette CJ Fair of the Mad Ants pulls up and drains a 3 pointer against JJ Moore of the Long Island Nets during the 2nd quarter at the Allen County War Memorial Colisium. Brett Luke | The Journal Gazette Walt Lemon Jr takes his time on an open 3 pointer against the Long Island Nets at the Allen County War Memorial Colisium. 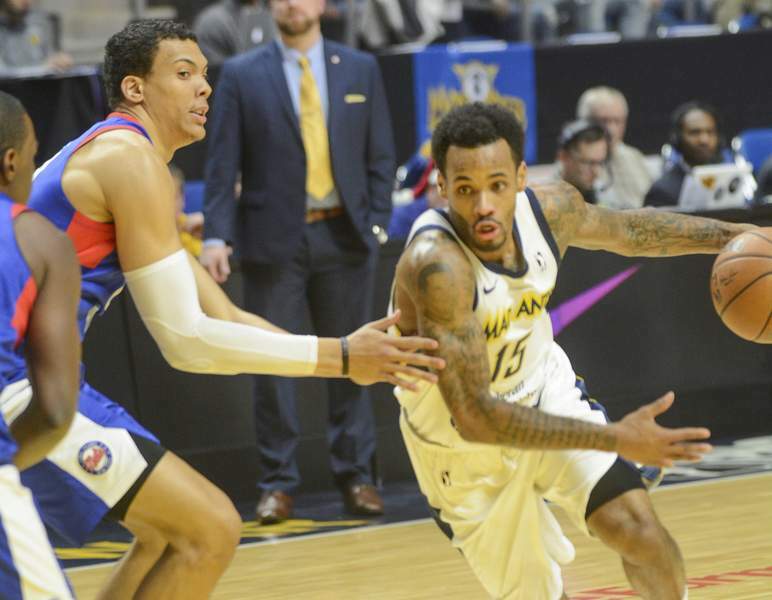 Brett Luke | The Journal Gazette Dequan Jones of the Mad Ants drives against Milton Doyle of the Long Island Nets during the 2nd quarter at the Allen County War Memorial Colisium. Brett Luke | The Journal Gazette Dequan Jones of the Mad Ants pulls up for a 3 pointer during the 3rd quarter against the Long Island Nets during the 3rd quarter. Brett Luke | The Journal Gazette Walt Lemon Jr of the Mad Ants drives against Jacob Wiley of the Long Island Nets during the 1st quarter at the Allen County War Memorial Colisium. Brett Luke | The Journal Gazette Trey McKinney Jones pulls up for a 3 pointer against Jacob Wiley of the Long Island Nets during the 1st quarter. 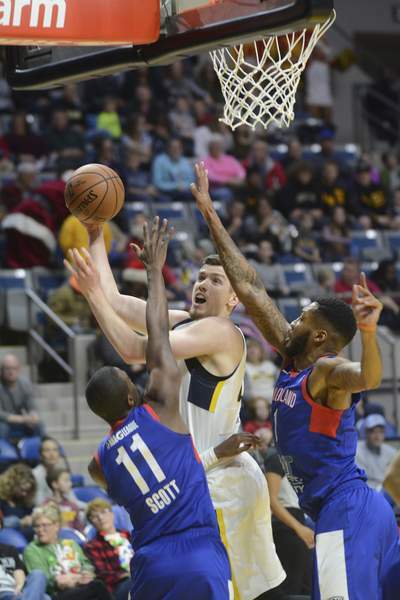 Brett Luke | The Journal Gazette TJ Leaf of the Mad Ants goes up strong against Shannon Scott and Kendall Gray of the Long Island Nets during the 1st quarter. 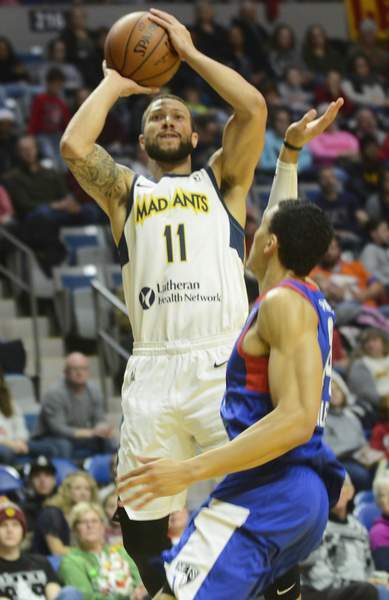 The Mad Ants have lost five of their last six games, including the 120-117 loss tonight to the Long Island Nets that came despite Walt Lemon Jr.’s 31 points and 10 assists. 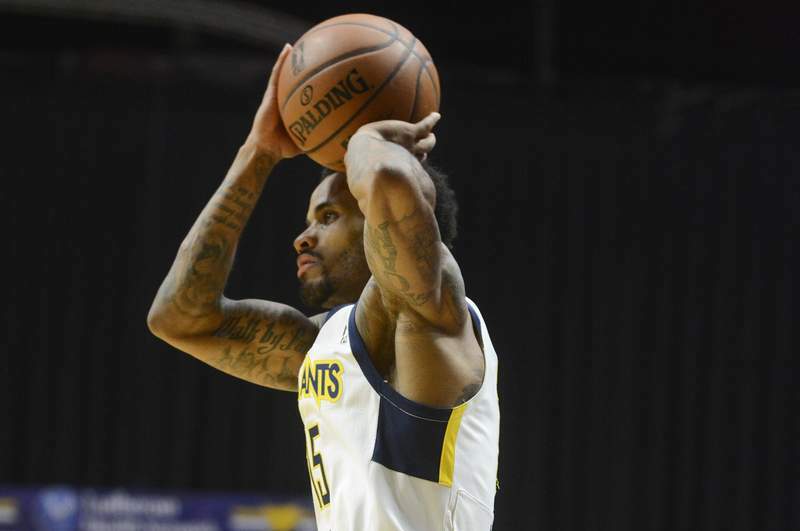 There are three things I see going wrong with the Mad Ants right now. 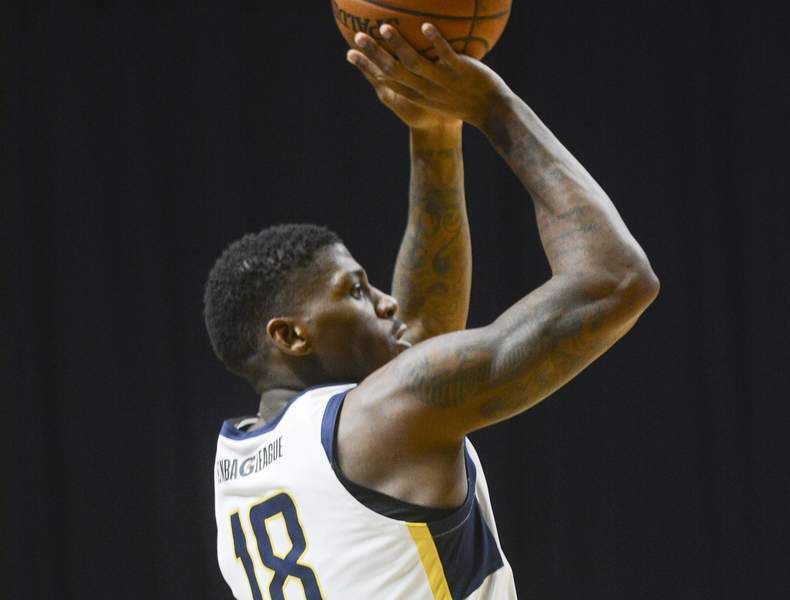 The first, which is a lack of attention to detail, was summed up well by coach Steve Gansey, whose team squandered a 13-point lead and allowed the Nets’ Milton Doyle to score 30 points. “We have to do the little things. Offensively, I run a play and you’ve got to run your route. It’s like being a football receiver. Not every play is (Rob Gronkowski) going to get the ball, but he’s still got to run his routes, block and do everything. It’s the same in basketball,” Gansey said.”We didn’t know our routes. Guys didn’t ask questions. They just went out there and we couldn’t even get the ball at the elbow at some points. We’ve got to do the little things. The second thing relates to body language. 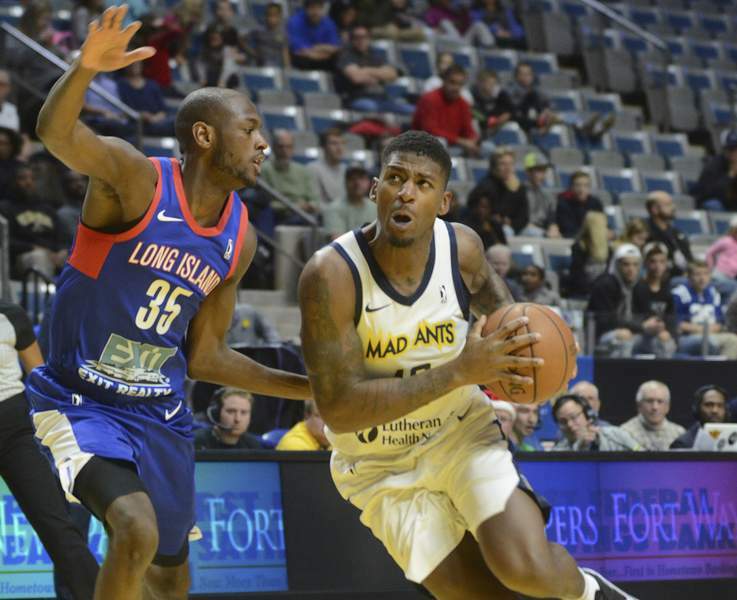 When the Mad Ants are at their best, there’s this energy they play with and they just look and feel like they can’t be defeated. Other nights, like tonight, they are hanging their heads and you can just feel like they are waiting for the other shoe to drop. If they don’t play with confidence, then they’re not going to execute with confidence. To me, that falls on the leadership in the locker room as much as anything. And the third thing causing them problems is free-throw shooting. Tonight, they were 13 of 20, which is even worse when you consider they were 6 of 12 in the second half. That included Lemon missing all four of his free-throw attempts in the fourth quarter. As I’ve written many times, the key to the Mad Ants’ offense is Lemon penetrating and going to the basket. But if he’s not going to hit free throws, that’s not as effective. “I put it on me. I missed key free throws at the end that I don’t normally miss. There were a couple questionable calls (by the officials) at the end, too, that went their way unfortunately. 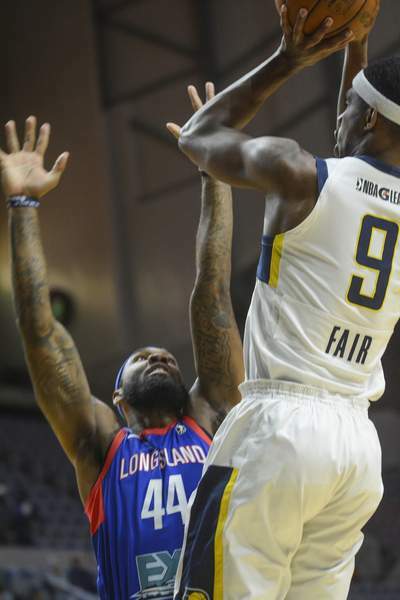 But we’ve got to learn from this one, stay together and get ready for the next game,” said Lemon, whose Mad Ants take on Raptors 905 in Mississauga, Ontario, on Saturday night.